Wendy Richmond has put together a swirling assortment of ideas, observations, tips, philosophy, quotes, and anecdotes about art. The thoughts come rushing at the reader like a river in a time of flooding. The variety of topics and approaches in this kaleidoscopic book are like the trees, boats, houses, and fence posts one might see in the overflowing river. Richmond’s book is a collection of personal essays that surges from subject to subject. The author shares her thinking on culture, creativity, and a span of art from the personal, to the commercial; the accidental, to the classical. The essays emphasize the author’s personal experiences and opinions in a way that never lets the reader forget her presence. She is firmly planted in the middle of it all and not a page goes by without the words “I” or “me” being part of the thought stream. We read how she met challenges in her art and in her teaching. We are served with quotes from artists and authors who inspired or collaborated with her. The information is valuable. Richmond covers ground that not only practicing artists, but also a wide range of creative people will find inspiring. However, the author-centric point of view has its limits. The wealth of information would be more accessible if only the author would step out of the way. Richmond’s credentials as an innovator, teacher, designer, and photographer are excellent, but her intimate involvement in the material tends to shift the focus from the tale to the teller. Another level of distillation would make the book clearer and more universal. Art Without Compromise chronicles such themes as how creativity can be cultivated and taught. It’s all about practice, she tells us. Quantity and quality have a direct relationship. This is not a revolutionary concept, but Richmond is not out to lead a revolution. She wants to share with us the steps she took to become an artist and the ongoing processes that keep renewing her as an artist. She reminds us that culture surrounds us and urges us to observe it carefully. The creative process, she points out, is a continuing loop that consists of observation, reflection, and articulation. Much of that process should be ruled by serendipity, according to Richmond. She instructs the artist to “relinquish the control you never had.” Culture, Richmond says, is sticky. We all carry traces of our ancestral cultures, regional cultures, and the ever-changing cultural landscape of our current environment. Part of the change in that environment comes from the artists who inhabit it. She states, “Artists perform a sort of alchemy on culture. We take the raw materials and transmute them into something different.” Richmond floats gems of practical advice and exercises among her multitudinous opinions and observations. For instance, she tells artists to fight the sense of staleness and the equivalent of writer’s block by taking a work in progress and recreating it in another, less familiar, medium. For example, a photographer might turn an image into a drawing or a video in order to approach the creative process with a fresh perspective. 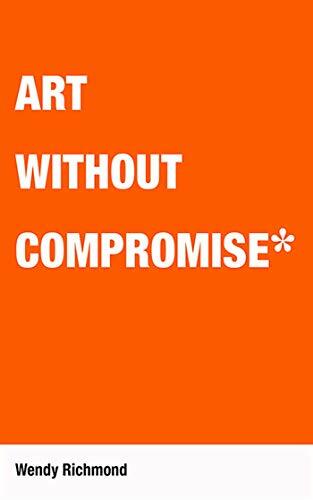 Art Without Compromise has a lot to say to artists and teachers of the arts. The best way to approach the book is slowly. Read a little, think about it, and come back in a few days to read some more. Reviewer Martin A. David is a practicing artist, writer, and actor. He has led creativity workshops throughout Europe and the United States.